Mitie Group plc has today announces it has entered into an agreement to sell its social housing business to Gloucester-based Mears Group plc for a consideration of up to £35 million in cash (on a debt free, cash free basis). It has also proposed a share placing to fund the transaction, which could raise about £22.5m. This will cover an initial payment of £22.5m on completion of the deal and will be followed by a deferred sum of up to £12.5m in cash over two years after completion, subject to certain undisclosed terms. The majority of the proceeds will be used to strengthen the Group’s balance sheet and accelerate partial repayment of the deficit under the Group’s defined benefit pension scheme, with the balance being reinvested in core businesses. 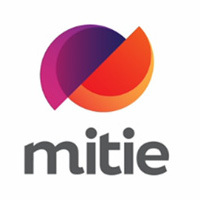 The transaction will be structured as a sale of the entire issued share capitals of Mitie Property Management Limited and MPS Housing Limited (the latter being a newly incorporated subsidiary of Mitie which has acquired the assets and undertaking of Mitie Property Services (UK) Limited (together, “MPM”). The deal is conditional on a private placing by Mears and the completion of a TUPE consultation process with affected employees. MPM is a leading provider of property repairs and maintenance services to the social housing sector, employing over 1,000 people and providing property services to over 30 social housing providers in the UK. MPM carries out over 265,000 responsive repairs each year, along with 25,000 repairs for critical services delivered 365/24 hours a day to clients. MPM was previously part of Mitie’s Property Management division, which also included Mitie’s commercial painting and roofing refurbishment businesses. Mitie’s painting and roofing operations now sit within the Group’s Engineering Services division and are not part of the transaction. MPM’s revenues were £128 million and earnings before interest and tax, adjusted to exclude non-recurring items and the recharge of Mitie central service costs, were £5 million for the financial year ended 31 March 2018. Earnings before interest and tax, adjusted to exclude non-recurring items and the recharge of Mitie central service costs for the six months ended 30 September 2018 are expected to be £2 million. At the balance sheet date of 30 September 2018, MPM had gross assets of £40.3 million. “Mitie’s strategy is to focus on its core businesses and core clients, where service delivery and margin can be enhanced by the use of technology to deliver the critical environment reliability and cost efficiency that our clients increasingly demand from their “Connected Workspace”. MPM’s Managing Director, Vicky Fordham-Lewis, will remain as a Managing Director as part of Mears’ enlarged operations. The sale of MPM constitutes a Class 2 transaction for the purposes of the UK Financial Conduct Authority’s Listing Rules and is expected to complete by the end of November.